We’ve always emphasised that AFC Unity measure results differently – that, as a registered social enterprise, we have different targets to meet, different aims to reach for, and different outputs and outcomes than other sports clubs that may be unincorporated associations and just about results on the field. 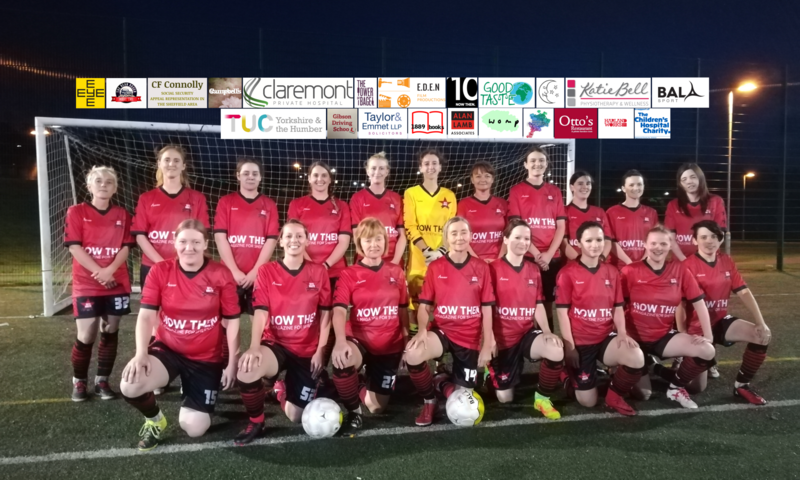 Having said that, I’ve also fought for the cause on the pitch too, because if an indie women’s football club like ours – against insurmountable odds – can somehow still do well in competitive matches over the years (which we have), then this allows us to raise our profile and do greater good in the community as well. It’s difficult to have one without the other. It also sends a message that despite not being an add-on to a men’s team, despite being alternative, despite being so positive, and despite being a Respect Award-winning club focused on fair play, you can still find success. It’s the longest, hardest road to take – we don’t accept abusive behaviour, we don’t put pressure on referees, we don’t cheat or play “ringers” – and there are times it all really tests your mettle when so many others are doing all that, but the satisfaction that comes with the knowledge we’re a club that always tries to do the right thing, and stand up for what’s right (the clue is on our badge’s scroll), is so much greater. That’s why we reject “winning at all costs.” Tainted victories are not satisfying to us; we will hold out until we win the right way. But, with all that said, how do you win “the right way”? The late great American college basketball coach Don Meyer absolutely nailed it with his “four keys to winning.” He claimed that, once your team fully grasped these keys, the route to victory would be unlocked. And I totally agree with him. But what does this mean in practice for players? Believing in the system, he said, meant player commitment to the style of play, or philosophy, recommending that players ‘be a sponge and soak up concepts of how the team plays.’ He suggested that players accept and learn a specific role within that framework, to understand how it’s important to the system, and then do it the best that they can. Believing in yourself meant playing with confidence, thinking positive, with teammates realising they’re a great player in a great programme. He added that players shouldn’t get down when they play poorly, and accept they were chosen to be part of the team, so should lead by example. Finally, believing in your coaches because, he said, ‘they’re trying to make you better players as well as better people’ (yes, better people too). ‘Ask questions,’ he said, ‘but don’t whine and complain.’ Players, he added, must believe that their coach is doing what they think is right for the team in the long run. Many people had many views of Don Meyer, and not everyone agreed with him (his other requirements were players taking notes, being polite, and picking up trash! ), but his success spoke for itself, being the all-time leader in college basketball coaching for games won. So it’s definitely worth taking something from him. Last week, with an injury-hit first team squad including the regular goalkeeper, a threadbare team and in a rough environment – when so many had written us off and so few gave us a chance – we won. We won 7-3. Because ability is great, but these four keys unlocked the win for us. The players played with heart, with passion, with guts and integrity…and believed in the style of play, themselves, each other, and me. We were all rewarded. The rest of the season will continue to be tough – two really hard cup games approach – and we still have several injuries and the spectre of the start of the season still right behind us, but we know we’re getting better, and we know we can climb the mountain. Even if we took the hardest path to get there. 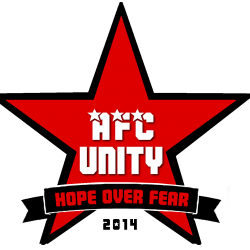 Next PostNext AFC Unity Up For Another Award!